WASHINGTON — Sea turtles are lumbering back from the brink of extinction, a new study says. Scientists found more populations of the large turtles improving than declining when they looked at nearly 60 regions across the globe. That's a big change from a decade or two ago, experts said. Long-living sea turtles have been pushed to endangered levels by hunting, accidentally being caught in fishing nets, habitat loss, plastics pollution and climate change, experts say. 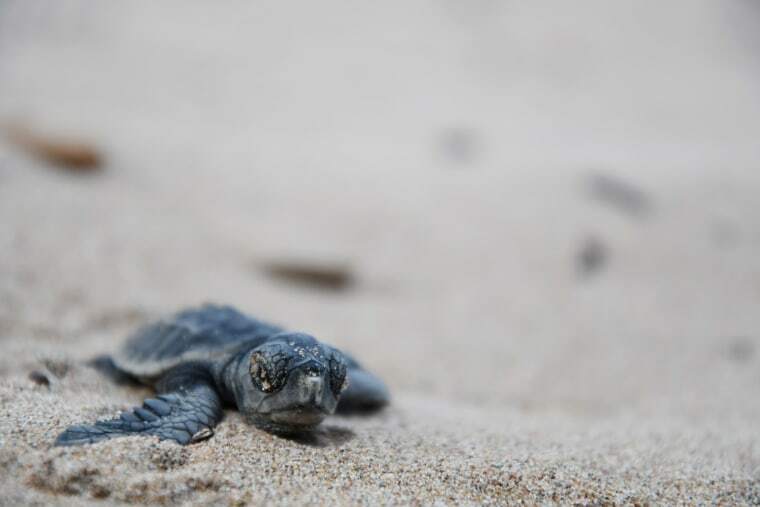 But massive efforts to save the egg-laying turtles by changing fishing nets and creating protected and darkened beaches are working, said study lead author Antonios Mazaris, an ecology professor at Aristotle University of Thessaloniki in Greece. "There's a positive sign at the end of the story," Mazaris said. "We should be more optimistic about our efforts in society." The research was published Wednesday in the journal Science Advances. There are seven different species of sea turtles, all but one endangered. The slow creatures live for several decades with some species weighing about 100 pounds and others well over 1,000 pounds. Mazaris pointed to Hawaiian green sea turtles, once in trouble 40 years ago, as story of success. Maybe too much success. "They have more turtles than they know what to do with," said Roderic Mast, a sea turtle advisory group co-chairman at the International Union for Conservation of Nature, which determines the global list of endangered species. Tourists seeking sea turtles create traffic problems and fishermen complain the creatures get in the way, said Mast, who wasn't part of the study and is president of the Oceanic Society advocacy group. He added: "It's a good problem to have." Mazaris and colleagues looked at 299 sets of turtle populations over different lengths of time around the globe, finding 95 of them increased, while 35 went down. The rest didn't change or there wasn't enough data. There were increases in North and South America on the Atlantic coast but setbacks in the Asia Pacific region. "The evidence is widespread and convincing," said Selina Heppell, head of Oregon State University's department of fisheries and wildlife, who wasn't part of the study. Mast pointed to Kemp's ridley sea turtles as a good example of what's happening, especially in the United States. In the 1940s, there about 40,000 of them, mostly in the southern U.S. and Mexico. By the 70s, there were only 1,200 left. The U.S. and Mexican governments changed laws, fishing practices and set aside dark, quiet areas for turtles to nest. That population is increasing by about 10 to 15 percent annually, Mast said. That's good, but he said they remain critically endangered. "Sea turtles are bellwethers. They're flagships that we use to tell the story of what's going on in the oceans," Mast said. "And that's why people should care about turtles."